When something goes wrong with your car, it is important that you make sure the problem gets fixed as soon as possible. If left unattended, the problem could either get worse, or become the cause of a full blown accident. We are dedicated to providing expert and professional car repairs Poole, so don’t hesitate to contact us today to avoid unnecessary consequences. We know that for many people, their car can be their pride and joy, while for others, their car can be essential for getting to and from work, which is why it is important that you take care of it properly. Many people decide that in addition to having a yearly MOT, it pays to have it serviced too. An MOT only checks what is required by the DVLA, not what is going on in the deeper depths of the engine. We find that a lot of people are scared that car repairs in Poole can be expensive, but you may be surprised to find that in many cases it’s relatively cheap. While for the most part, we will use new parts, for those customers who are on a tight budget or for those who choose, we can often source second-hand parts that are half the cost but just as good as new. As part of our Poole car repairs service, we never rip our clients off and would be happy to supply a free quotation to carry out the work so you can compare it to prices from other garages if you so wish. With this as the case, there’s no reason why you shouldn’t bring your car in for our car repairs in Poole team to take a look at it as soon as there’s an issue. If you leave the problem, it could cause far more expensive issues later on. How can we find the problem? You are legally obliged to bring your car into a garage for an MOT once a year. During that time, our Poole car repairs team can check all the necessary car parts stated on the MOT test sheet. If your car fails its MOT, you have to get the problematic parts repaired before the car can become road legal again. A service can bring up any problems that may have been in the background for years, which could have been affecting your vehicle’s overall performance. Our expert Poole car repairs team will inspect all areas of your car for faults, and then harness all their skills to ensure that your car is running at optimum performance by the time it leaves our garage. How can you tell if there’s a problem? People know their cars well, so if you feel that something isn’t quite right, there may be a problem. For example, some people may notice a distant clattering sound or start to smell the scent of fuel in the cab. These issues don’t always flash up the lights on the dash board so don’t rely on them if you seriously feel that something isn’t quite right. Bring your car in so our car repairs Poole team can take a look. Below we’ve given you some information on some of the essential mechanisms in the car. This may be useful if you think something isn’t right with your vehicle. It is impossible to count how many times you use your brakes during just one journey, let alone between an MOT or service. With your breaks in near constant use, sometimes natural wear and tear can progress into something more problematic. If you recognise some of the following signs, it may mean that you need our car repairs Poole team to mend your brakes. 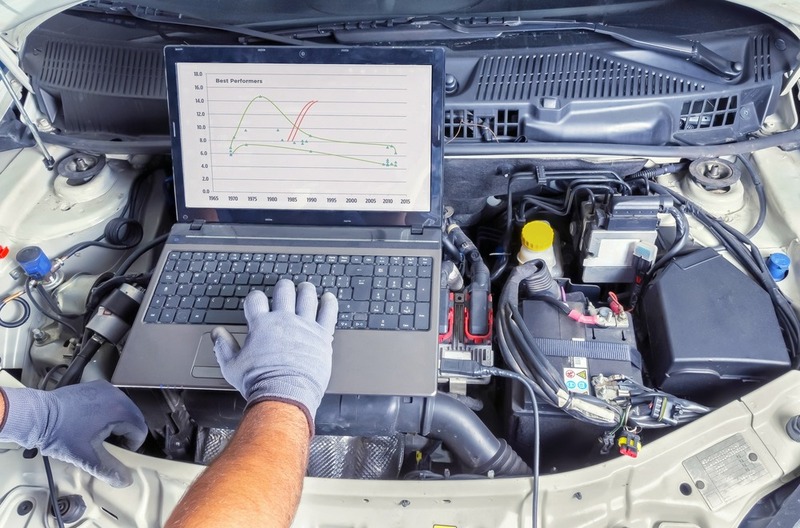 Once we have located the issue, we’ll provide a cost-effective solution that will ensure that your car is once again performing to an optimum performance. Your clutch is another mechanism that is used many times over one journey. As such an essential part of the operating system, it is important that your clutch is well serviced to avoid any damage or long-lasting problems. Our car repairs in Poole team are experts in servicing and repairing clutches for a huge variety of car makes and models. If you recognise some of the following signs, you should get your clutch checked out. The systems in modern cars are becoming increasingly complex, and sometimes your car may not be functioning correctly because there could be something wrong with the wiring or programming. At S & H Motors, we possess a diagnostic examiner that is suitable for plugging into a range of makes and models. It can pick up any faults in the system so our Poole car repairs team can get to work to fix the issue in no time at all. Why should you choose S & H Motors? While we specialise is servicing Italian cars such as Alfa Romeos and Fiats, we are also highly experienced and expert in carrying out car repairs Poole on a huge variety of models. All of our mechanics are trained, and possess the relevant qualifications. We continue to invest in training our mechanics so their skills are always up to date with any technological advances. We pride ourselves in being a local, reliable garage. We are willing to go above and beyond to make sure that our customers are happy, while also ensuring that they get the best possible value for money. If you need our car repairs Poole, don’t hesitate to contact us now.